A quiet forest pool playing hide and seek with the spring morning. 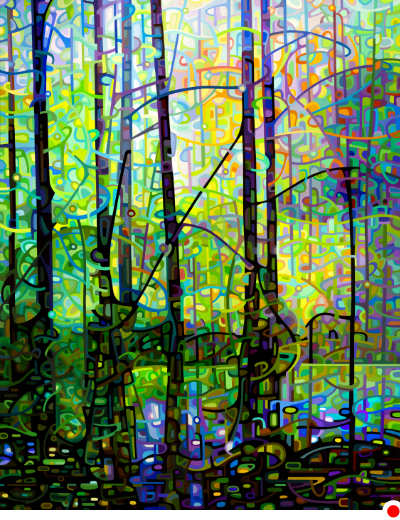 Copyright and reproduction rights are the exclusive rights of the artist, Mandy Budan. All artwork and content is legally protected by Canadian, U.S. & International copyright laws.